I helped D2 with some props she needed for a school musical. Ever the creative "genius", I took the task of making a "piano". Armed with a cutter and pencil, I decided to use a styrpore for the piano. I took to black latex paint instead of poster color to prevent possible fading. It's hard to cut-out a piano, more so if I have no pattern to follow. It's even harder to compress two octaves in my less than 2 feet in length piano. I wanted to print Technics or Yamaha in my piano but D2 said "Mom! Really. No one would see the brand!" 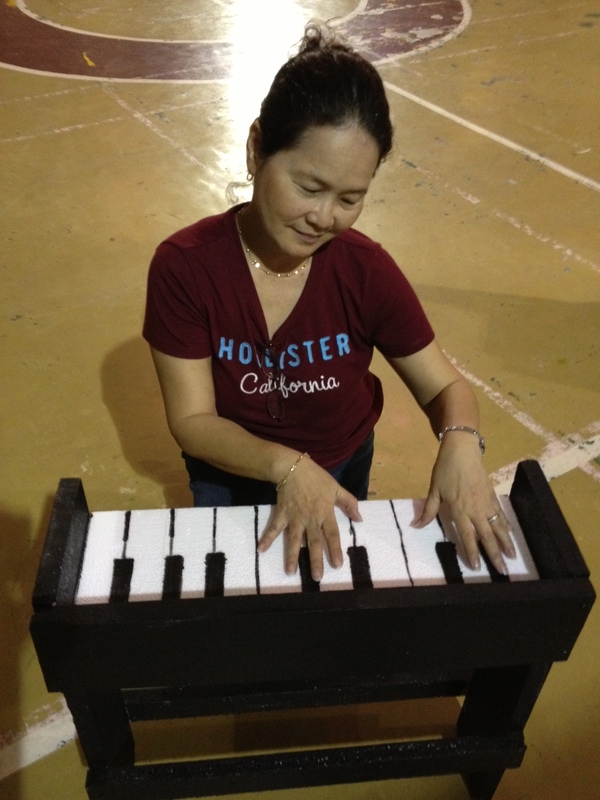 Here's me, "playing" my octave and a half styropore piano.